Labor Day marks the end of summer and the start of school. I know here in the midwest many schools are already back and the mad rush for supplies has slowed down to a crawl but some of us are last minute shoppers and wait until our kids see what others are buying. This procrastination is sometimes hard but great if your kids want to be like the rest of the pack. It keeps you from running to exchange things and filling up an already busy weekend schedule. 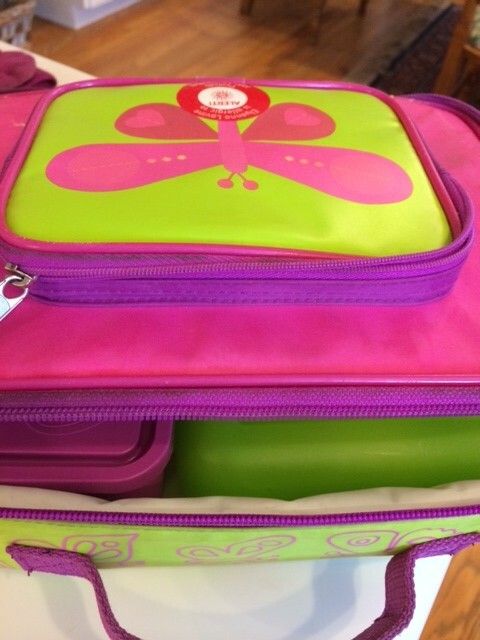 My friend Julie Cole from Canada has some great suggestions on her blog page for school supplies and helpful items that will withstand the test of time throughout the school year. Julie is a mom of six so she has plenty of experience in the back to school shopping routine. She is one of my favorite moms to read especially on weekends when I have some extra time. Her blog posts are humorous, helpful and always a delightful break for me. I met Julie a few years ago at a conference of bloggers and every year I look forward to seeing her and catching a quick hello and hug from her. I hope you enjoy her posts as much as I do. And catch her at Mabel’s Labels as well, there is a link on my side bar. It is no fun losing kids’ stuff. Also if you have kids with allergies there are labels for lunch boxes and bags that alert teachers and the lunchroom staff of you child’s allergies. Have a great Labor Day Weekend Everyone! This entry was posted in Allergies, Food, Fun, Kids and tagged kids back to school, Mabel's Labels, weekend by llpitlwp. Bookmark the permalink.